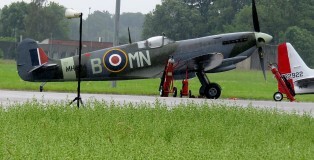 At the Florennes Airshow (Belgium) on 21 June 1975, a couple of warbirds showed up as well: the Lancaster, Spitfire and Hurricane of the Battle-of-Britain Memorial Flight. 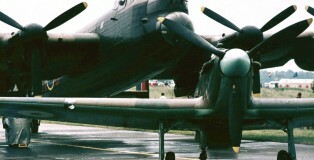 There was also a Boeing B-17 present carrying a French civil registration. 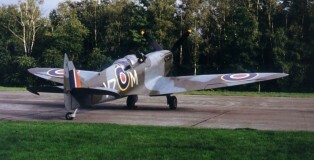 This aircraft became a “real” warbird in later years , painted in USAAF-colours. Hans and Frank were among the spectators. 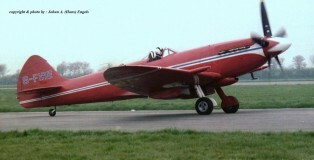 Hans and Frank went to Belgium in September 1993 to attend the traditional Warbirds Air Show that took place at Oostmalle Airfield.